A Basic Home inspection determines the present condition of the home’s major systems, based on a visual inspection of accessible features like Exterior Structure , Foundation, Roofing ,interior, Plumbing, Electrical, HVAC and more. It focuses on the performance of the home, rather than cosmetic, code or design issues. Inspections are conducted using interNACHI standards of practice. It’s not uncommon for conditions to change between the time of the inspection and the closing date. It is recommended to have another inspection before the closing date. 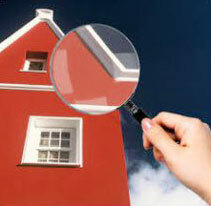 Ask us about our Basic Home Inspection Package and get best home inspection cost deals.